Since the detailed demographic Portrait of Sonoma County was published this time last year, it has become a key resource in the ongoing efforts to improve the overall health of the local population. In this archival North Bay Report, wen examined the document and talked with its authors at the time it was first released. 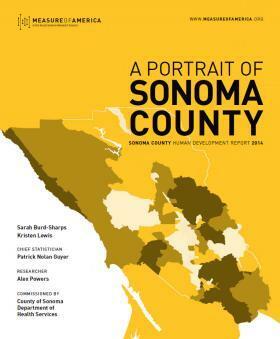 The Portrait 's detailed demographics show where Sonoma County residents are healthy and where they are not. More importantly, the document also identifies reasons underlying those differences. A summary of the report can be found here. Links on that page will also allow you to read or download a PDF of the entire document, in either English or Spanish.